Workbook includes two tables. 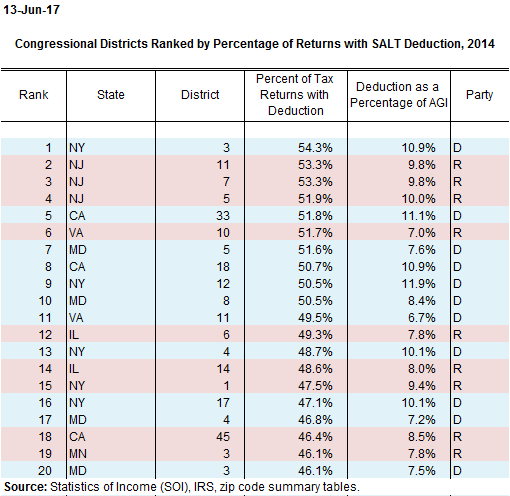 The first table ranks congressional districts by the percentage of returns with a state and local tax deduction. The second ranks congressional districts by the state and local tax deduction as a percentage of AGI. These data are for 2014.